Son of a hospital consultant, Rangan has always been interested in medicine. But he’s also passionate about sport, and music; at 11, he learned four instruments. Meanwhile, he was working as a GP, a job he adores. 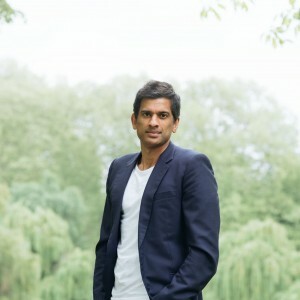 When his father died, Rangan, realising how the stressful schedule had impacted his wellbeing, took himself in hand, and then changed the way he treated his patients. He shared his philosophy through his appearances in the BBC series, Dr in the House. Date of birth: 1977 in Manchester. Education: Manchester Grammar School; Edinburgh University; Medicine and a degree in immunology. Family: Wife, and two children aged 7 and 5. The Day Job: GP and father. The Debut: The 4 Pillar Plan. Your Way to a Longer, Healthier Life. Penguin Life: €19.99. Kindle: €11.32. In this beautifully produced, readable book, Dr Chatterjee explains four, simple rules for a healthier life, and gives medically proven examples of how his methods work. The Verdict: I really liked this; it’s easy to follow.